NEKTON-Rep contains 12 vitamins, 6 trace elements, 2 amino acids as well as calcium. NEKTON-Rep increases the rate of skin formation and encourages the functionality of the mucous membranes as well as the animal's entire energy metabolism and stimulates growth. Animals with vitamin/mineral deficiencies are usually not very active; NEKTON-Rep balances out this lack of nutrients and the animals are significantly more energetic. Signs of paralysis, such as e.g. legs tightening, are prevented by regularly administering NEKTON-Rep. NEKTON-Rep has a positive effect on the development of muscles, glands and the nervous system. 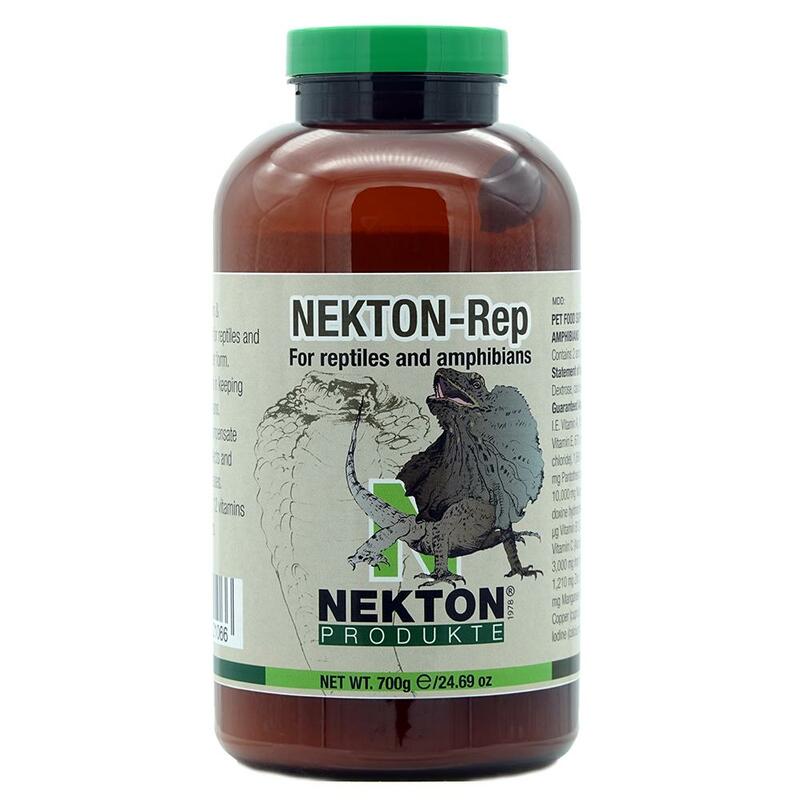 NEKTON-Rep additionally increases the fertility and hatchability of amphibian and reptile embryos. 0.25 g NEKTON-Rep per kg of body weight daily, or respectively 1.5 g once a week. One level measuring spoon (inside) holds 1,5 g NEKTON-Rep.
NEKTON-Rep should be stored dry and out of sunlight, between 15° and 25° C (59° and 77° F). DO NOT STORE IN THE FRIDGE !! !